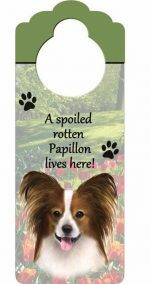 Our cushioned Papillon dog socks have superb construction and quality. Each pair of socks features your favorite dog breed within a pop art design and paw prints. Made in Egypt with only the best soft cotton and spandex which allows for a formed fit to your feet wash after wash! 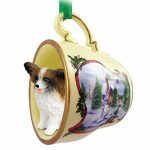 They make a great novelty dog gift for all dog lovers especially for a birthday or holiday. 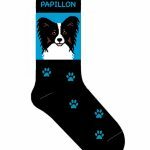 Each pair of Papillon socks are offered in our blue and black color scheme. Blue paws are found at the bottom of the socks and work their way up the sides of the sock. 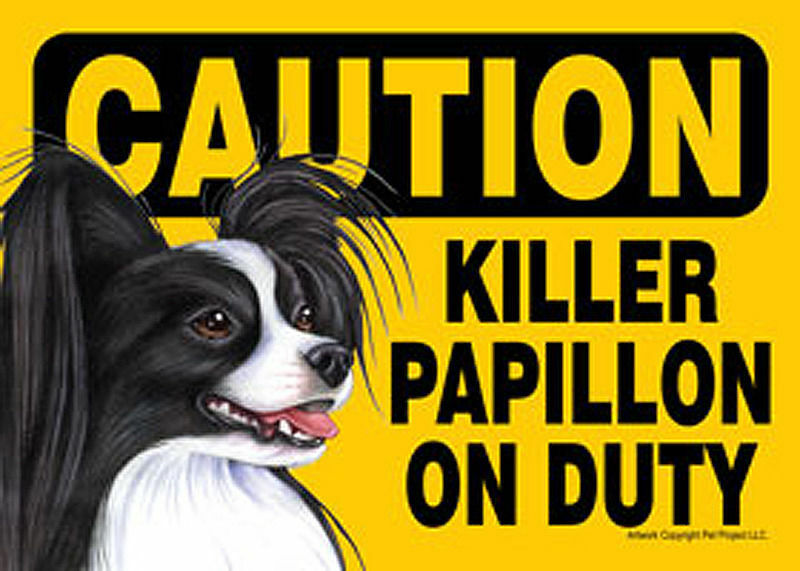 The pop art illustration displays a black and white Papillon. White covers the entire chest, blaze, and snout. Brown accents fill the inner ears and cheeks. 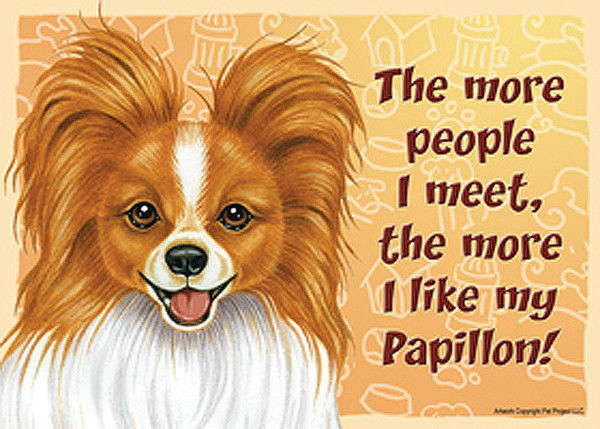 The rest of the Papillon is black. 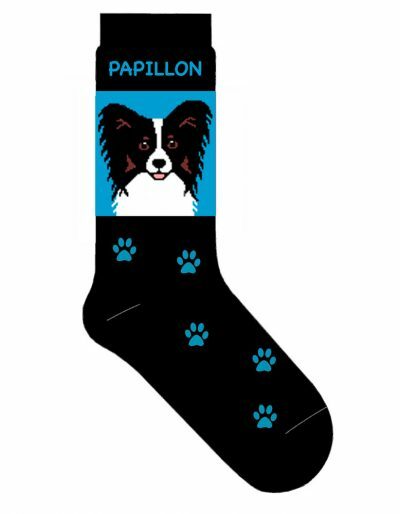 Trust us when we say these Papillon socks will rock your socks off!